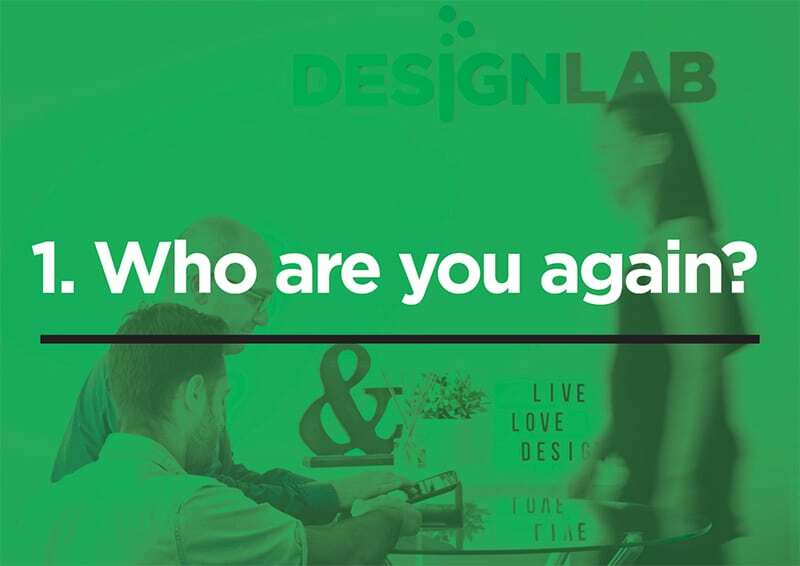 Why you should rebrand is a question I get asked often, and the answer is if there’s one thing that running a branding agency has made me appreciate, it’s the ever-changing nature of the marketplace, there is one abiding truth about modern day business: Every business at some point has to rebrand. Why? Because rebranding breathes new life into your business, but to do it correctly it has to be done with a focus on strategy, a creative vision & thought and most of all for the right reasons. Why? Because you are defined by how you are perceived. It is the reshaping, remodelling and recreating of your business and it’s brand identity. It can involve anything from making a few changes to your current brand; you developing new and improved strategies that will enrich your business and create a closer bond between you and your clients. Why Should You Rebrand Your Business? There comes a time in everyone’s life when we need to make changes. For example we change houses, jobs, diets, wardrobes – all for the purpose of bettering ourselves. Now sometimes these changes happen over time, and sometimes we have to make these changes ourselves because of some changes in our lives. There’s a saying we have all heard “Out with the old, in with the new,” we often say. Keeping your business relevant and current is one of the most common reasons for a company to decide on a rebrand. Not just financial growth; but it could be expansion into a new market. Your current identity may have be outdated, and not reflect your business as it is. It could even be that when you first started the business, you didn’t have the budget to have your logo professionally designed. Target audiences, Value propositions and just the market can all change during a businesses lifecycle. Maybe it could be that was once highly effective may now hold your business back, which is a perfect time to rebrand and reach a new target. Sometimes the branding of your business looks similar to that of a one of your competitors, which could mean that your customers may find it difficult to tell the difference. A business should be individual and communicate why it’s different to its competitors. 7. Simply… you’re not captivating that top paying customer. It’s simple: The best talent want to work with the best brands. One example could be if you’re struggling to recruit reliable and professional employees for open positions, it could be because your brand seems dull to potential customers. There are is a delusion about branding, the biggest is being that a logo is a brand. A logo identity is just a small part of the overall branding process. It’s often the most recognisable element used to communicate with your customers; this sometimes means that a logo is often the only element that a lot of businesses focus on when they rebrand. But a brand is the sum of all of the touch-points that comes into contact with your customers. These do include a logo, stationery, website and marketing collateral, but it’s more than that, its also how your staff communicate with your customers. A brand is what your customers think of when they hear your business name or when your logo is seen. It’s a perception. 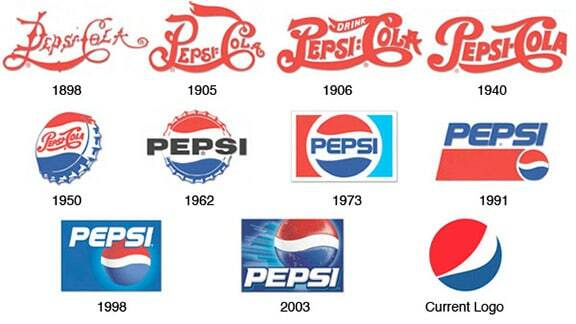 Below are some great examples of big brands that have rebranded over decades. Contact us today to discuss if your business needs rebranding.